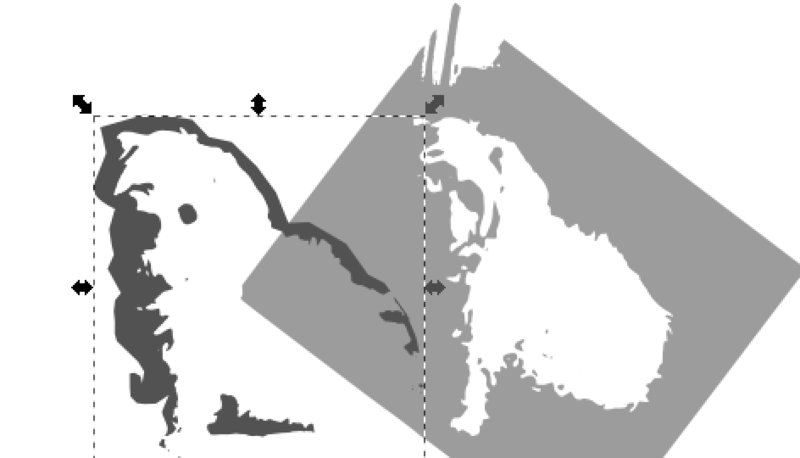 The two layers from the dog picture. 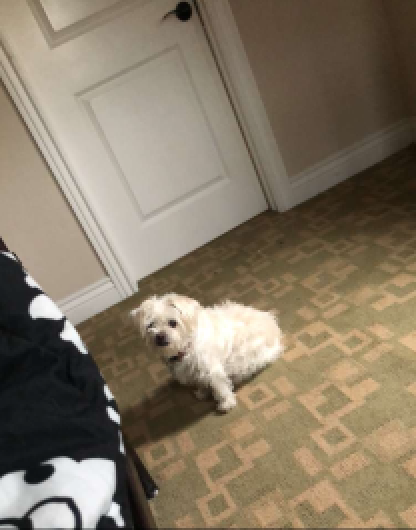 To edit the layers of the picture, I had to convert the picture to an outline format in bitmap so I could trace the left foot because it blended in with the background. 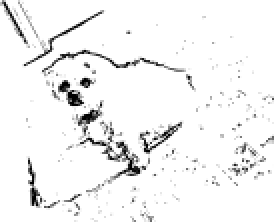 After turning it to greyscale I could get the picture to look like this with the trace bitmap. This is the original picture I used to make the sticker. 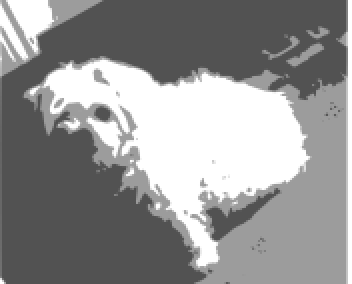 For the final sticker, I chose to make a sticker of my friends dog, to get the layers of the image I had to change the original picture to a greyscale version so Inkscape could find the color layers. Once Inkscape separated the layers, I had to edit the layers so I could bring back the leg and parts of the face that the Inkscape grouped together when it did the split. I added another layer to the sticker with my friend’s dogs name. My griffin sticker was a seamoose. It was originally a seadeer but I had to turn the head to the side because I had the profile view of a seahorse, so I made the head of the dear into the profile view of a horse. 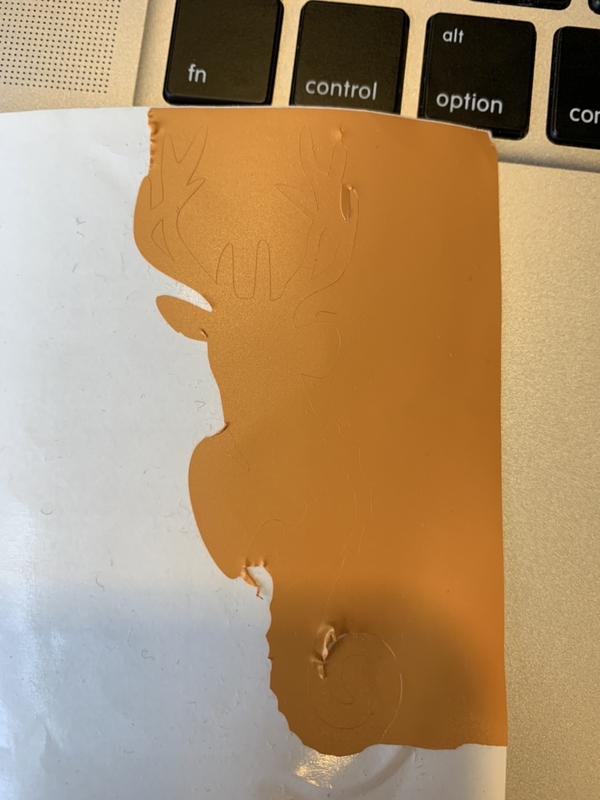 the blade I used wasn’t thick enough so I couldn’t peel the sticker of the griffin sticker well. 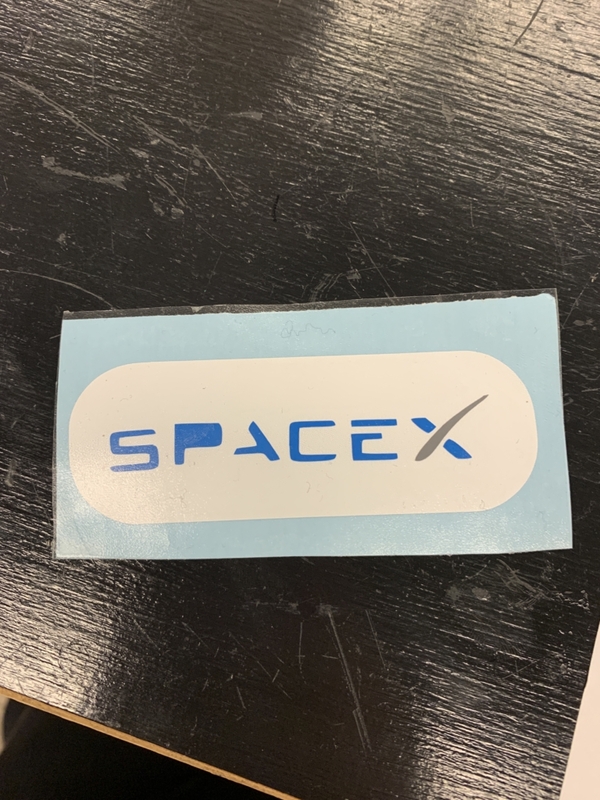 The logo sticker I chose to make was the SpaceX logo. I chose to keep a white background because the letters would be cut individually. the grey is its own layer. 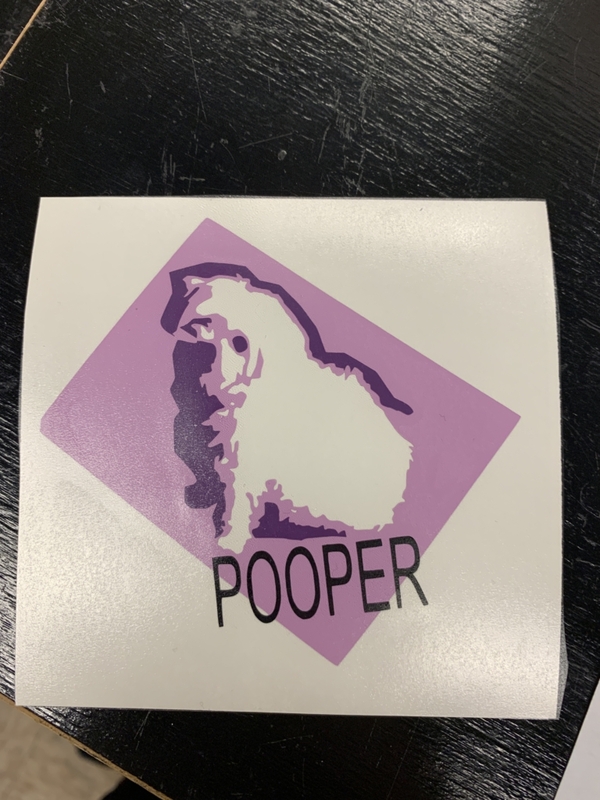 If I were to do it again, I would definitely change the font of “Pooper”, the spacing of the letters, and the background (its so awkward) and refine the edges. Overall it was really fun to edit the images and play with the colors of the images.